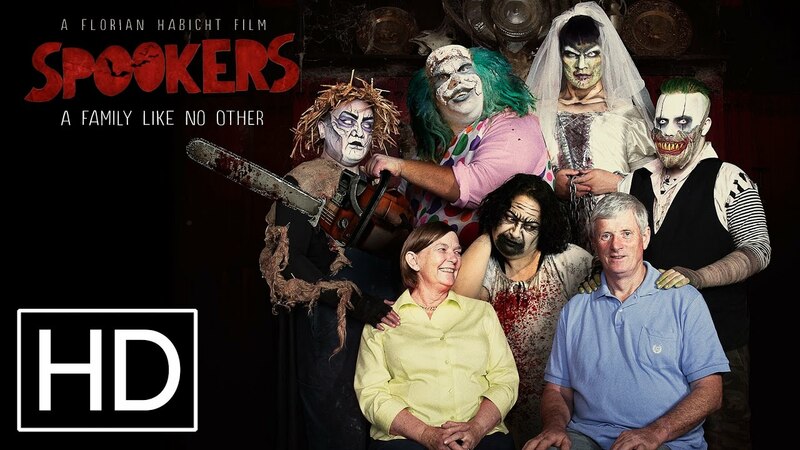 From director Florian Habicht and producer Suzanne Walker comes Spookers, a wild and freaky documentary that takes a look at New Zealand’s very real and totally insane/awesome haunted attraction. The film will have its world premiere at Toronto’s Hot Docs festival on April 30th, but we have the trailer to show you now below. As night falls on Kingseat Psychiatric Hospital, out come the zombies, chain saw–wielding clowns and bloodstained freaks. About 45 kilometres from Auckland, Spookers is New Zealand’s largest and most successful scare park. A thrilling amusement for the paying public, it’s a family business for Beth and Andy Watson and a unique job for the performers who dole out the terror. Filmmaker Florian Habicht not only delivers the behind-the-scenes action of this cinematographic treasure trove, he fleshes out the very real emotional effects of preying on people’s worst nightmares. Some staffers seek fun, but others find the strength to brave far scarier issues like an HIV diagnosis and bullying. While former Kingseat patients have trouble with the idea of performing the horror that once took place there, acting out trauma is a therapeutic experience for others. A chilling visual delight, Spookers offers an unexpectedly thoughtful look at the life-affirming power of fear. To hang out the Spookers-verse and to learn more about the movie (including future screening engagements) visit the official Spookers Facebook page.